Trade Tracker Pro Review – Scam Alert! Trade Tracker Pro has been on the radar of most scam busters for a while now. Despite existing for not so long having been launched in March 2016, the rate at which complaints have been registered against this software is shocking. In particular, the administrators of the software have been engaged in scams before thereby making this software untrustworthy. What Exactly Is Trade Tracker Pro Software? Trade Tracker Pro is a multi-dimensional program that uses market analysis as a strategy to foretell positions with winning possibility. It was created by a guy called Josh Foreman. It is an automated binary options trading system. The website alleges, without any justification, that the software uses an array of trading methods to evaluate the present conditions of the market then chose winning trades. The lack of justification already puts question marks to this software. The designers have praised it as having a straightforward interface that cannot give even a novice trader problems to use while trading. Further, the designers say that they have a team made up of the creator the software who have consistently worked on the robot to come up with a new model. This upgraded model, we are told, will give you far much more winning signals making it a lot better than the old model. They claim that they are offering 100% free entry for a lifetime to just a limited number of people who will be among the first ones to sign up with the latest version. After that, joining will be costly. This move is not to be trusted because a genuine provider would not be in so much hurry to have you on board. Only a scam will do that because they have limited time before they are discovered, so they want to con as many as possible before they are known. Trade Tracker Pro is a revised version of another scam called Tauribot App (see the picture below). 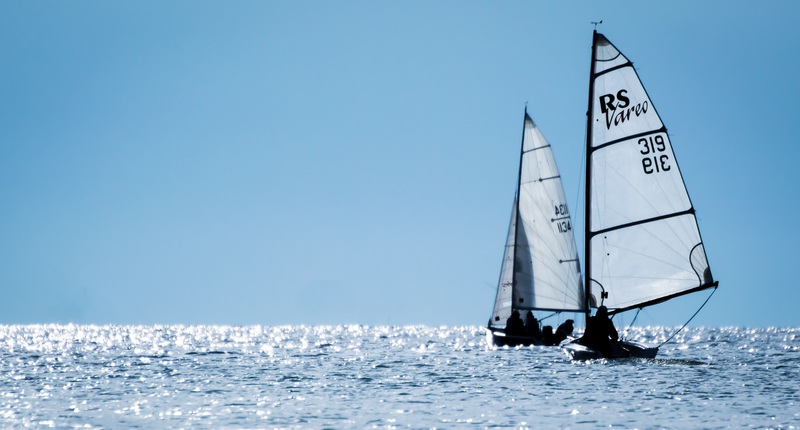 The owners of the software stand to be sued by the University of Chicago for infringement of trade mark. With the kind of individuals behind this scam, you should be worried about the features of this software. They are not going to work. This means you will lose your money if you dare follow what they tell you because that is their aim. The promotional video shows Derek Stone claiming that he was a banker, and he left all that to try out Trade Tracker Pro. He further says that he left because he was told to try out the software and that should he not make the money with the app he would be given back a whole years salary for losing his job. This is sheer nonsense, and Derek cannot be believed. In fact, the guy who poses as Derek could just be one of those paid artists who just say anything as long as they get their pay. Transmission of money from let’s say your trading account to your bank account usually takes some time. It is never instant as Derek wants you to believe when he is shown in the video withdrawing money from the ATM instantly. Both Derek and Josh have no trail of events on any reputable site on the internet. If you look out for them in any financial sites they aren’t there; not even in the binary options forums. The names are fake, and the people are just conmen. The only time you will come across these names is when visiting scam sites. Another lie peddled about the software is the number of people to have access to the enhanced version of the software. They say they will only allow a few people and claim there’s only one spot left. This claim remains constant probably to attract more people. Once many people sign up, they are told to open accounts with a specific broker firm. The owners of the filthy software will then make money from the broker out of each deposit made. One thing to be sure about is that you are going to lose all the deposit. Trade Tracker Pro has been blasted as being very misleading to traders. The investigation has showed that it is a den of lies and fake assurances, and it has victimized many people too. Every reliable post so far is how deceptive the software is. 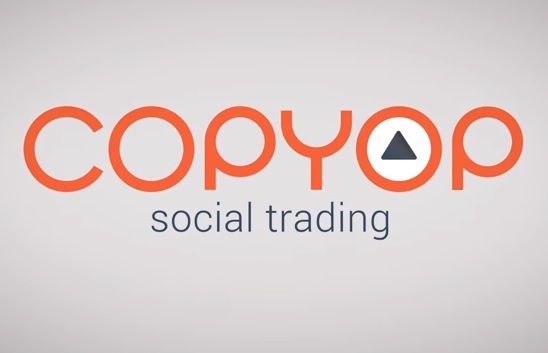 No known trusted trader has reviewed this software and confirmed that it is safe to use; not even a testimonial in praise of it from any real trader. If you look at several reviews of trusted websites, they will tell you to avoid Trade Tracker Pro because it is a scam. So far, you will at the very least meet one complaint about this useless software. The software also has a fake badge to endorse it to be 100% for generating revenue. Investigations have revealed that the badge is not authentic as it has no authority. The income generation guarantee is not backed hence is just another way of luring you to be ripped-off. At the bottom of this piece of scam’s web page, there’s a disclaimer cautioning you about how risky this venture is. If you lose your money using this robot be warned that you will have nowhere to complain and recover your money. That will be gone with the wind. To make you have confidence, the designers of the software uses fake actors to speak good things about it just like all other scams do. 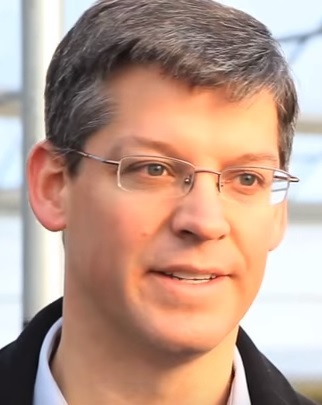 The bearded Derek Stone, who is also an administrator of the software, is one big con artist. He appears on other scam sites under a different name. In the Trade Tracker Pro video now he’s lying about withdrawing money from the ATM to persuade you that indeed he makes lots of cash with the system. Take a sharp look at the pictures above, one is a screenshot of Trade Tracker Pro, and the other is for Free Money System. Do the comparison. Notice that Josh Foreman also appears in both the pictures. Just in case you didn’t know, Free Money System is one hell of a scam created by internet marketers. There’s also Walter Green who now uses a different identity in the other scam where he is called Anthony Pitts. If you do an identity such of these people in social media, we guarantee that you will not find them. Also, Josh does not reveal any other name. All these funny things are accustomed to all scams. The fraudsters are always keen to hide their identity. In the video, the example given is of Derek, who is made to look like he began trading with $250. 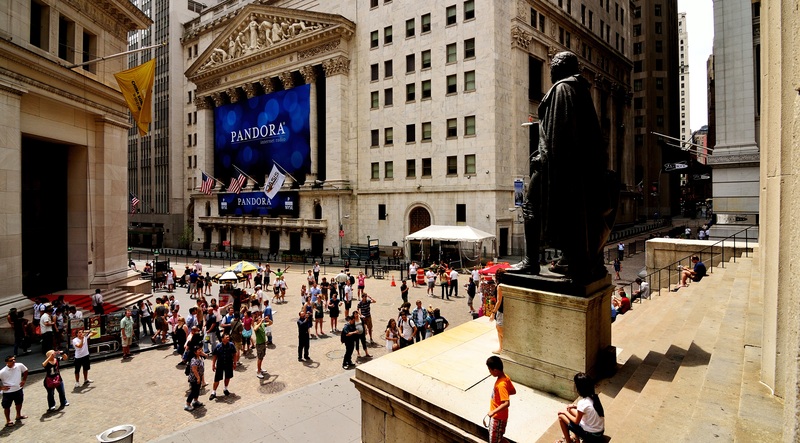 Later that month of trading, he was able to make $80,000 by using Trade Tracker Pro. However, in the video, there is no proof of how exactly one is capable of making this outrageously ridiculous amount in just a month. The amount is unheard of in reality when trading binary options especially with a small investment of $250. You will not be able to confirm the results of trading elsewhere other than by looking at that fabricated video. And as we said, the video is presented by people who do not have a clean record. Both Derek and Josh have propagated so many lies, and they have participated in many scams previously. You will be told to start trading with at least $250. After you make the deposit, the software will instead make sure you keep losing by taking only weak positions. However, to make you sign up you will be told the complete opposite about this scam. The reality is that Trade Tracker Pro is just another scheme to lure people into a bogus get-rich-quick scheme. It is free. You must, however, deposit $250 with the chosen broker before Trade Tracker Pro can begin “generating” a lot of money for you. The only good thing despite this scam is that you will still find genuine forex trading robots by legitimate signals providers out there. 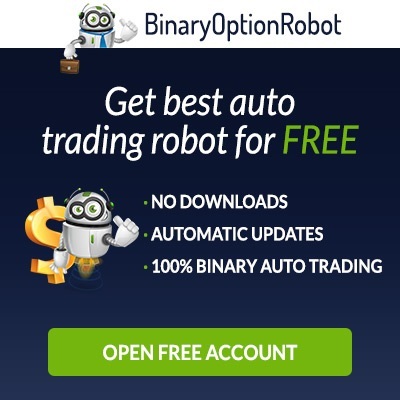 One such is Binary Options Robot. You can check out a review of this awesome software before you sign up. They have even made it free, and it is for all classes of traders. We will tell you things as they are. Trade Tracker Pro is one hell of a rip-off strategy that cannot be trusted. Everything about it is fake from the founders to the promoters to its features. The software creators use a fake video to guarantee very crazy amounts, but they don’t back their claims in any way. If you were on the verge of taking the one slot remaining, take it, and it shall continue to remain. The software is created to aid thieves rob people on the internet. The sad thing is you will not be able to lay your claim anywhere apart from telling people how you were conned. 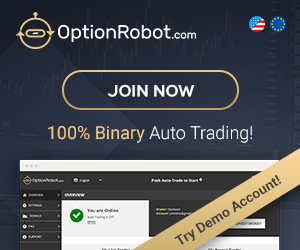 We recommend you register with Binary Options Robot for free when you are ready to trade. This is tried and tested.